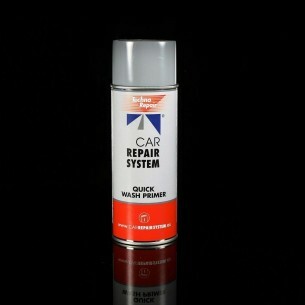 Primer/Adherence promoter applied directly to bare metals such as steel, zinc and aluminium. Fast drying and repaintable even wet on wet after evaporation. Excellent anti-corrosive properties. To be used before any filler or primer. Never use polyester based products over Quick Wash Primer. Primer/Adherence promoter applied directly to bare metals such as steel, zinc and aluminium. Fast drying and repaintable even wet on wet after evaporation. Excellent anti-corrosive properties. Never use polyester based products over Quick Wash Primer. Drying time: 15 min at 20 ºC.